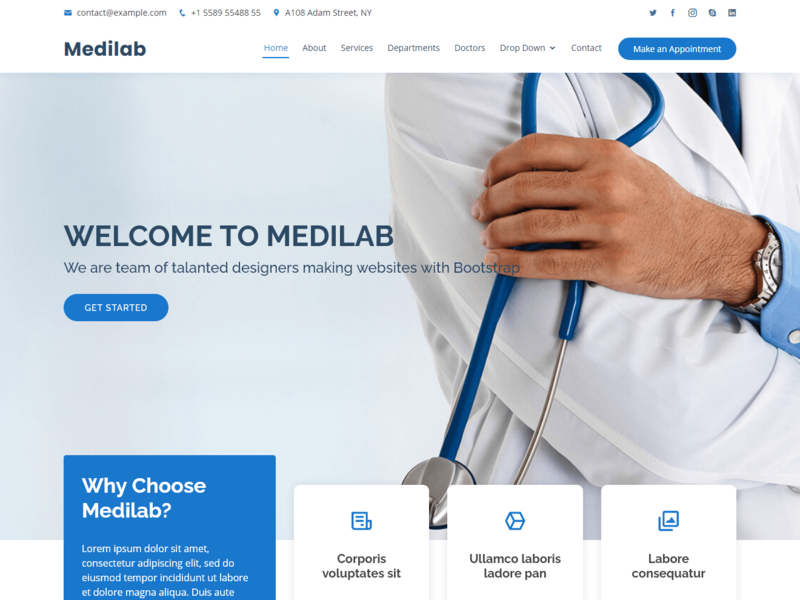 Medilab is a clean, free, responsive bootstrap template perfect for hospital, doctors, clinic, medical, health and more. This is a fully dynamic, well structured, easy to use and beautiful free HTML5 template. This free website template developed and designed specially for Medical purposes. This template includes special features like appointment forms, services, doctors, gallery items, testimonials and much more.